22/12/2014 was the day of “Keesu keesu anusandhanam at Ubha Ve. 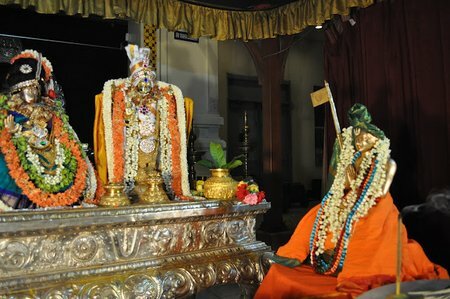 Adoor Asuri Madhava chariar swami’s upanyasam “Tiruppavai and Tirunedunthandakam.” In the month of Marghazhi the day is known by the name of that days pasuram.In this the 7th pasuram Andal and Her goshti wake up a girl who is fit enough to be their leader yet she has not woken up for Margazhi neeraatal. Can’t you hear the continuous screeching of so many Bharadwaja birds ? Can’t you hear the sound of the churning of curds by the perfumed haired gopis? As if the sound of churning was not enough the jewels worn by the women clash while the churning is on making a clanging sound.And all this noise fails to wake up the girl sleeping inside. It is time to sing about the different forms of Narayana and Kesava so wake up tejasvini and join our goshti. This pavai nonbu is for attaining paramapadam the place from which there is no return. The birds refer to acharyas who reveal that Sriman Narayana is paratatvam,the different mixture of sounds indicate the three mantrams of ashtakasharam, Dwayam and charama slokam. Tresses refer to the shikai of an acharyan Kesava means one with beautiful tresses, it also means the slayer of Kesi and isvaran ( ka -Brahma and eesha-Shiva.) Andal asks the girl indoors “shouldn’t you come rushing out like Seetha who hugged SriRama when He single handedly destroyed Khara- Dooshana and their mighty army? 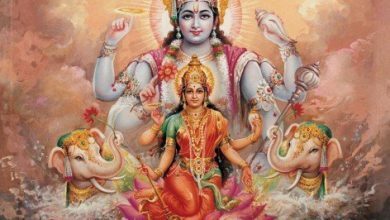 Narayanamurthi is our aashritha tatvam and He will bestow the highest purushartham-moksham.Even after hearing His Saulabhyam and Sousheelyam how can you sleep asks Andal? Swami then moved on to the first pasuram of Tirunedunthandakam. After kaivalyanubhavam Tirumangaiazhwar presents beautifully the greatness of Perumal’s Tirumeni. His soundaryam(beauty) captivates us and we stand rooted to the spot. He is swarnamayam (golden all over) As we start Aa peetam mouli paryantham( from His Tiruvadi (feet) and move upwards) our daily sins go. He exists as param, vyuham, antaryami, vibhava and archa. He is in earth ,in water ,in air and in our eyes. 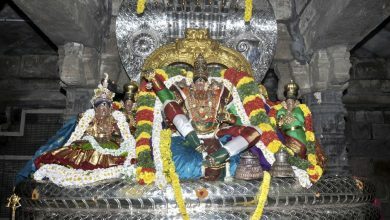 He is known by various names and has a variety of ornaments .Archanubhavam makes us happy and we are able to enjoy His divyamangala roopam without sastra gnanam or Veda gnanam. Paramatma’s Tirumeni is made up of panchopanishads(5 upanishads). unlike our shariram which is made up of panchabhuthams and three gunams. 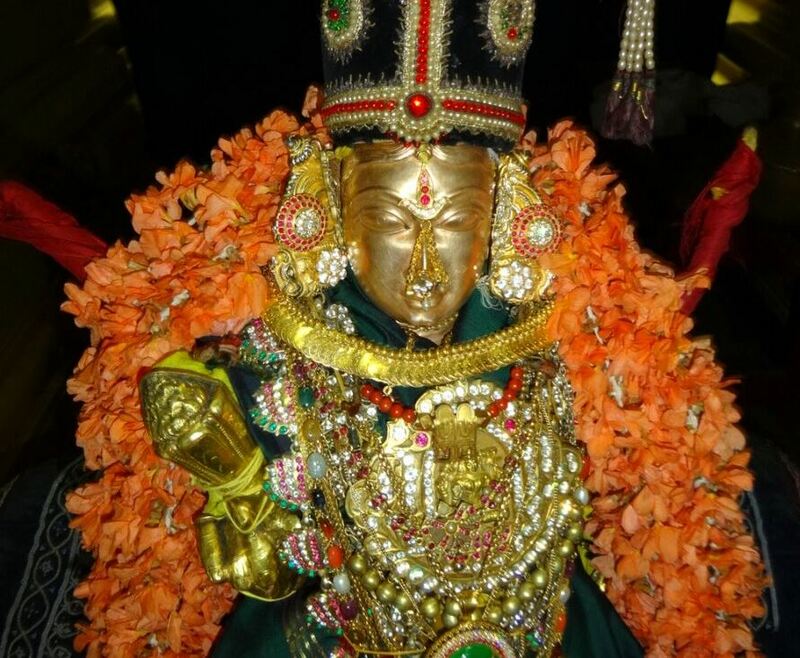 He dazzles with precious gems and attracts us towards Him.He possess the 16 qualities of gems and His panchayudham are also ornamental.He is Swabhavika Sundaran( naturally beautiful),yet wears the jewels offered by His devotees.His lokam which is the ultimate destination of a prappana is called Anandalokam and is Shuddhasatvam( totally satvik) Perumal is like water and has the qualities of descending to our level (water descends to the plains from the mountains)and He is Sheetalan(cool). He is Shanthaswaroopi yet Analaswaroopi(He is fire). He has Parakramam(valour), Tejas( lustrous) Infact the sun gets luminousity from Him. Such an all powerful one can be attained by doing saranagathi which an acharya does in kshana kalam(a few minutes. )So even though we lack sastra gnanam or Veda gnanam we can attain Him. Once a soul reaches paramapadam it gets Sarvaghyatvam(total gnanam) and attains poorna vikasam( total growth) .Thus while the Bhakthi yoga nishtan by doing the difficult salambana and niralambana yogam manage to see the paramatma swaroopam and reach a state of bliss it is nowhere near Paramatmanubhavam which a prappana enjoys.This is the purport of the first pasuram of Tirunedunthandakam. Video of the upanyasam is not opening. I kindly request that the video may pl. be uploaded again.